The use of the Lyon Modular Drawer Cabinet system is the perfect solution for us. Not only did it increase our storage space by 75%, it also increased our productivity and helps keep our inventory clean. Lyon LLC has been the leading manufacturer of metal products since 1901. Our featured products include Metal Lockers, Metal Cabinets, Modular Drawer Cabinets, Industrial Shelving, and Storage Rack. Lyon's 20 storage solutions experts throughout the USA are available to give immediate attention and support to every project. As a business with a rich heritage, Lyon has over 118 years of commitment. 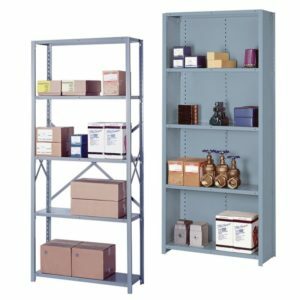 We strive to support our customers to store and organize their products while maximizing workspace storage. Our mission is to be the storage system provider of choice by delivering the best possible workspace solutions for our customers. We passionately commit to helping our dealers, distributors and end-users store and organize their products while maximizing workspace.